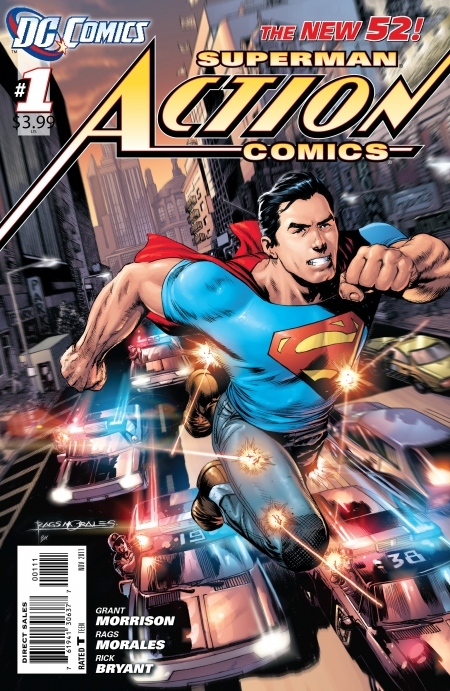 Action Comics #1, possibly THE most iconic comic in history, certainly the most influential, returns. Under the pen of Grant Morrison (Batman Inc, 52, Final Crisis), Superman is reborn. With art by Rags Morales (Identity Crisis, Blackest Night: Tales of the Corps) DC’s golden child comes out of the gates strong. I feel like full disclosure is necessary. Grant Morrison and I haven’t been getting along recently. I had some issues (no pun intended) that I’ve worked through. I tell you this so that when I say that Action Comics #1 is so far my favorite of the New 52 you’ll understand the importance of that. Morrison wastes no time jumping right into the action (pun intended that time) with Supes sweeping into a shady deal and holding the main villain, one Mr. Glenmorgan, up in the air with one hand over the veranda until he admits to his crimes. In the next few pages we learn that the government has hired who else but Lex Luthor to help bring down Superman and that everything that has happened and several of the things in the next pages are all part of some plan of his to capture The Man of Steel. We are also treated, at one point, to a quick view of Clark Kent. This Clark Kent plays the same farmboy character that we’re used to seeing, but THIS Clark, while still a reporter, doesn’t work for the Daily Planet yet. Another thing I found myself surprisingly fond of was the new costume. I was skeptical of the new t-shirt and jeans look but it was accessible. It wasn’t hokey like I’d feared and actually worked in context. There was one panel where it looked like his cape was just a red towel he’d tucked into his shirt, but that’s a minor thing compared to how disastrous this new costume could have been. The art by Rags Morales was good. I don’t say great because I’ve seen better art work, but for this book it was a fantastic fit. There are panels that reflect the art style of the original #1 with a modern twist, while others make me nostalgic for the 90’s cartoon of my youth. 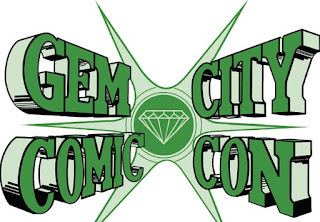 Michael Knoll is a contributing writer at Champion City Comics. In his spare time, he wrestles naked with bears.